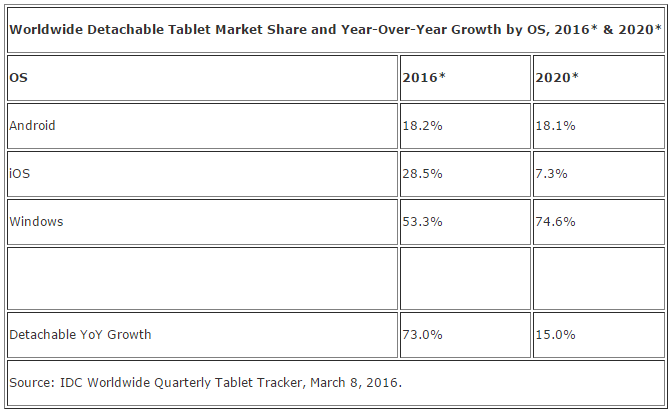 Most growth will be in larger-size tablets, IDC predicted. IDC, which confidently predicted the rise of Windows phones, believes that Windows tablets like the Surface Pro 4 will easily outstrip Android and iOS tablets, according to a new report. 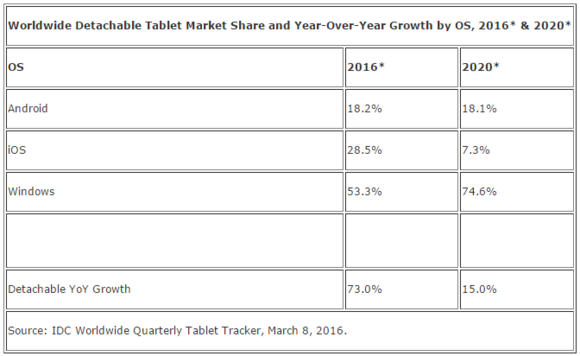 Monday’s report claims that the overall tablet market will drop by 5.9 percent from 2015, with tablet sales falling to 195 million units this year. But the market will return to a small, single-digit growth pattern in 2017, driven by the rise of detachable tablets like the Google Pixel C, the Apple iPad Pro, and Microsoft’s Surface lineup. In 2016, IDC said, it believes Windows-based systems will comprise 53.3 percent of the detachable market, which itself is experiencing 73 percent growth. By 2020, the firm said, Microsoft Windows' lead will have increased to 74.6 percent. 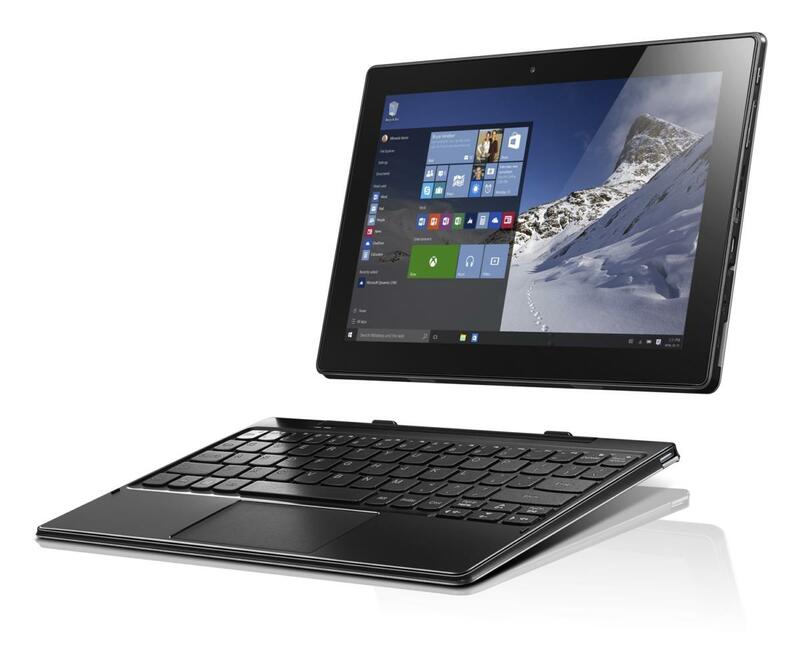 Why this matters: IDC believes the PC market is evolving not into the phone business, but from desktop and notebook toward the detachable tablet. Given the recent debuts of both the Google Pixel C and iPad Pro, it’s fair to say Microsoft came out ahead of this trend. Microsoft long ago eliminated licensing fees for tablets with display sizes under 9 inches, but IDC believes larger display sizes will see the most growth. “Windows 10 seems to be making headway in both the PC and tablet markets, mainly driven by devices with larger screen sizes,” Ryan Reith, program director of IDC’s mobile device tracker program. “Despite the free licensing on products under 9 inches the growth for Windows-based tablets will be primarily on devices with displays between 9 and 13 inches." Though Android dominates the mobile device space, IDC also believes Windows will win out. Why? Because of the close ties between Windows 10 on the desktop and mobile space. "Until we see a day where touch is introduced for Mac OS X and inroads are paved to bring Android and Chrome more closely aligned, we believe Windows remains the logical choice for detachable products,” Reith added.